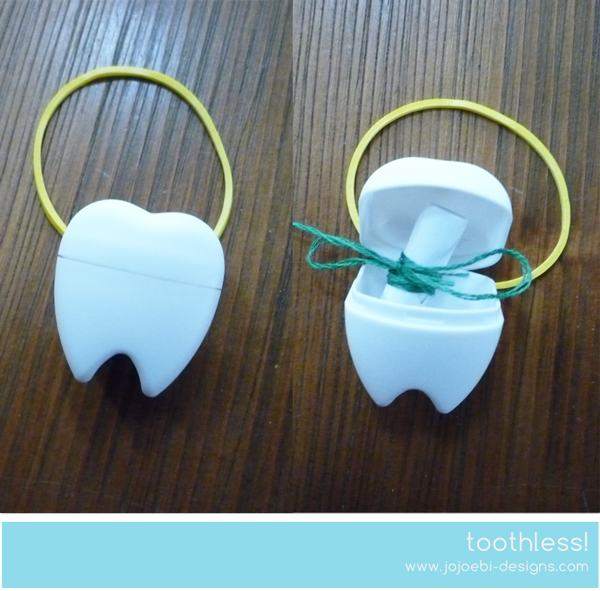 jojoebi designs: What do you do with your teeth? What do you do with your teeth? Before I came to Japan I thought the Tooth Fairy visited every child that had lost a tooth, I was bemused to learn that in Japan a child throws a lower tooth over the roof of the house and the upper tooth under the house or bury it, this ensures that the teeth will grow in straight. You see, yesterday we had a teacher/parent meeting, all good there, glowing reports all round. After that we went to the dentist, Ebi-kun's second tooth had come through behind his milk tooth and the milk tooth wasn't wiggly at all. This concerned me because I had the same problem with my top teeth and ended up wearing braces for years, for as much good that they did, I still have wonky teeth! Which, oddly enough is a good thing in Japan, there has been a recent trend for women in Japan to get their teeth wonkified because this makes them more attractable to prospective husbands, who see the wonky teeth as a slight imperfection, thus making them perfect! Go figure. Anyway, back to Ebi-kun, the dentist agreed that the tooth needed pulling and I was mightily impressed with the way it was all handled. Ebi-kun didn't feel a thing and wasn't in the slightest bit traumatised thankfully! Many foreigners in Japan complain about Japanese dentists but I have yet to see a bad one and will opt to see a Japanese dentist over a British one any day. 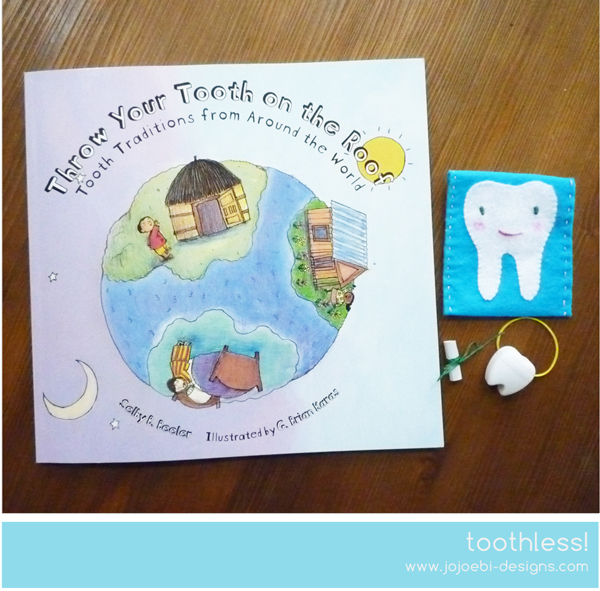 Months ago I order the book Throw Your Tooth on the Roof: Tooth Traditions from Around the World to give to him when the big day came. It is a GREAT book, it has traditions from all round the world, we were surprised to find that Japan isn't the only place that throws the tooth on the roof. Some of the places are quite odd, he was thankful that he didn't live in Costa Rica because they plate the tooth in gold and made into an earring for the child to wear. 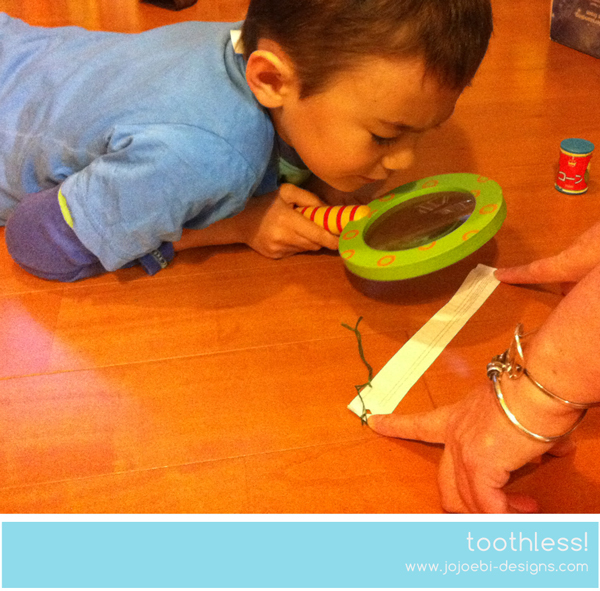 Of course, the Tooth Fairy is very small so her writing was teeny, so small in fact that he needed his magnifying glass to read it. All in all she was very happy to get the tooth and she will be using it to make birthday wishes. 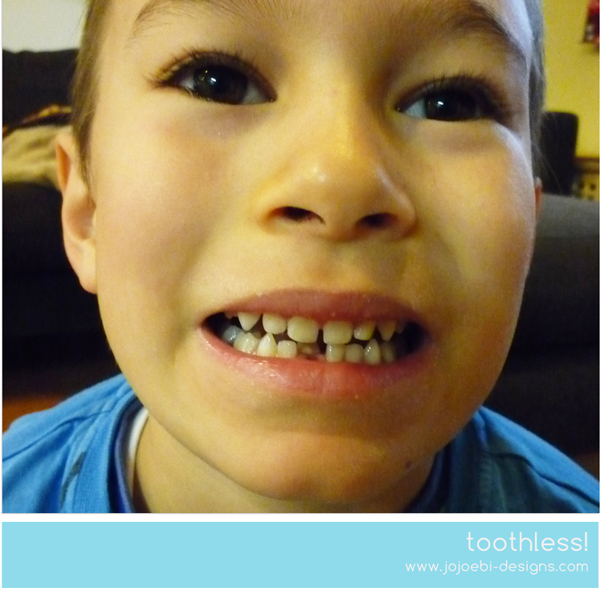 I am wondering what is going to happen when he tells his friends that he gets money for his teeth - bedlam in the wobbly tooth kingdom may ensue. The conversation this morning..
Me: Will you tell your friends that you got money for your tooth? Me: What if they want to know why they don't get money? Now, it's your turn, what do you do when your teeth fall out where you are? I would love to add to the traditions listed in the book. We do nothing! I decided not to go down the tooth fairy route (we also don't "do" Father Christmas, on the same grounds that I don't enjoy lying to my children). I have no idea what the kids do with their teeth. I have a feeling that the girls have kept theirs but I think my son just chucks them. Very unsentimental, I'm afraid!